The American Prize is honored to announce the winners, and runners-up and citation recipient of The American Prize in Chamber Music Performance, 2017-18, in professional, college/university and high school divisions. Congratulations! Chamber Music Amarillo is a performing arts nonprofit organization located in Amarillo, Texas. Our mission is to foster an appreciation for chamber music, chamber orchestra, and jazz by engaging and inspiring individuals, families and communities through unsurpassed, live, intimate musical experiences. CMA continually exceeds the artistic expectations of our region. 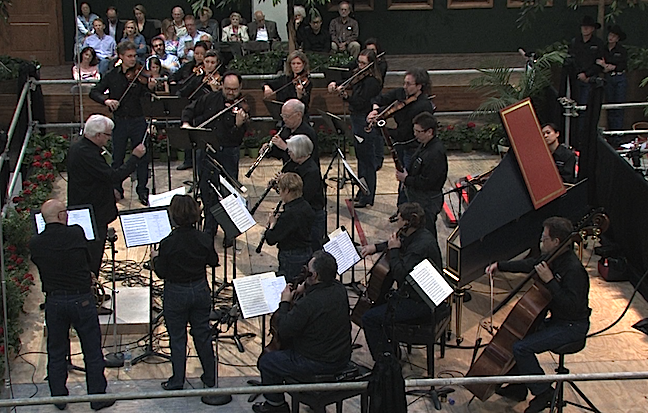 One way CMA is able to do this time and time again is through the extraordinary abilities of The Amarillo Virtuosi. The Amarillo Virtuosi is a chamber orchestra ensemble comprised of professional musicians from all parts of the Texas Panhandle and beyond. In 2014, The Amarillo Virtuosi performed the inimitable Brandenburg Concerti by J.S. Bach. This performance was sponsored by generous local philanthropists and a large amount of community support. 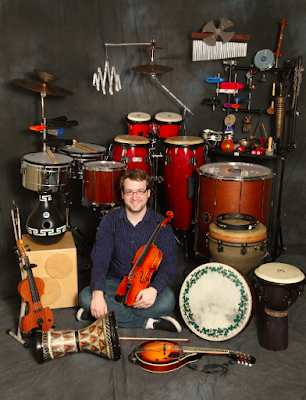 While pursuing their graduate degrees at the Yale School of Music, the members of iQ were brought together to represent the school in its prestigious concert series, Yale in New York, with the Yale Percussion Group under the guidance of Robert van Sice. Composition chair Martin Bresnick regarded an appearance of the Quartet as “one of the best student performances of any work I have ever heard… They played with great energy, sensitivity and precision.” They have since performed throughout the northeast as well as in a recent set at the 2017 New Music Gathering in Bowling Green, Ohio. In the 2017-18 season, icarus serves as Ensemble-in-Residence for Music at St. David's in Baltimore, and will also be featured on Yale's distinguished Horowitz Piano Series. 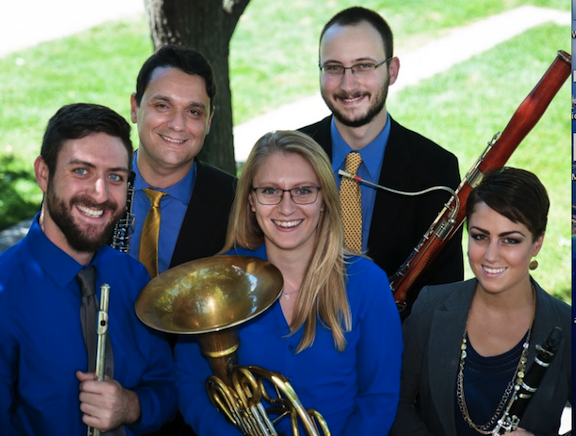 The Bear Lake Wind Quintet is the University of Northern Colorado's flagship ensemble for woodwind performance. Formed in 2015, and based in Greeley, Colorado, the Quintet is named for beautiful Bear Lake in Rocky Mountain National Park. 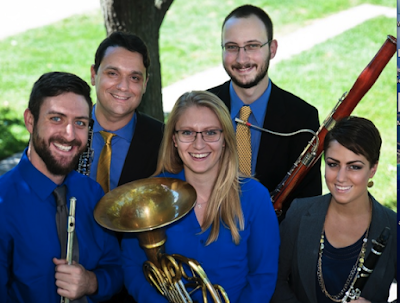 The group’s members include flutist Justin Cook, oboist Pablo Hernandez, clarinetist Kaitlin Fahy, hornist Kerrie Pitts, and bassoonist Joshua Schairer. All members are graduate teaching assistants at UNC in their instrument area and their studies are funded by their participation in the ensemble. Each year Bear Lake presents four to six outreach concerts all over Colorado and at least two full recitals. The Quintet performs standard repertoire as well as new works, especially those by Colorado-based composers. 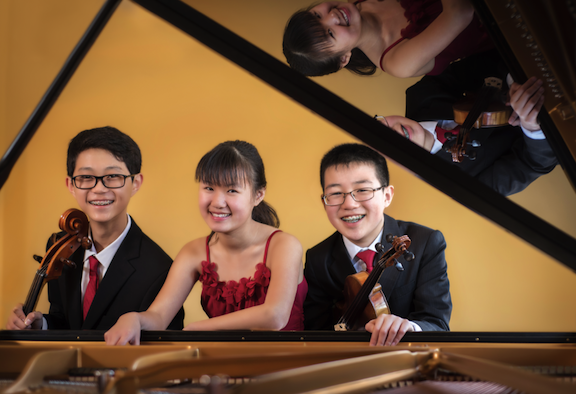 The Bach Trio, with violinist Pierce Wang, 13, cellist Ryan Har, 14, and pianist Josephine Chan, 13, is coached by Prof. Timothy Bach of the San Francisco Conservatory of Music (SFCM). The trio has been performing in venues around the San Francisco Bay Area since 2014. Additionally, the trio members have performed and competed as soloists. Josephine Chan, student of Prof. Corey McVicar at SFCM, was a prizewinner in the 2015 Virginia Waring International Piano Competition, the 2015 Enkor International Piano Competition, and others. Pierce Wang, student of Prof. Wei He at SFCM, was a guest on NPR, From the Top, show #284, and the WXXI Backstage Live radio show. Ryan Har, student of Mr. Eric Sung of SFCM, has taken masterclasses from cellist Ben Hong and was a prizewinner in the 2017 Enkor International String Competition and a first prize winner in the 2017 American Protégé Competition. 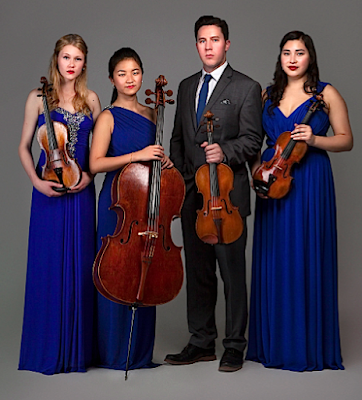 From its humble lunchtime rehearsals at Santa Monica High School, the George Magub String Quartet has progressed into a mature and exciting young chamber ensemble. The George Magub quartet is comprised of four incredibly virtuosic and musical players. As individuals, they have won many prestigious local and national awards, and have taken part in festivals such as the Tanglewood Festival and the Heifetz Institute. Ranging from fifteen to seventeen years old, the public high school students have learned the the benefits of hard work, trust, and collaboration through their ensemble. Most recently, the George Magub quartet was the first place winner of the North Western Ensemble's competition. The repertoire they have selected shows their expressive and dynamic range as players, excelling from Debussy to Piazzolla. Through their hard work and shared love of music, the George Magub Quartet has become a uniquely bonded group of musicians and best friends. The Bright Boys Saxophone Quartet formed in Fall of 2016 with the intention of playing challenging staples in the saxophone quartet repertoire. 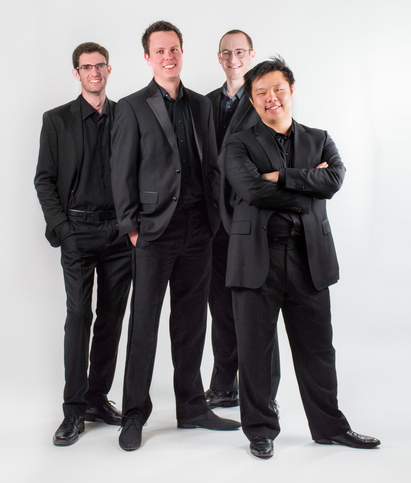 Members of the quartet include Dalton DeLara, Carter Hatch, Spencer McDonald, and Marley Proffitt. 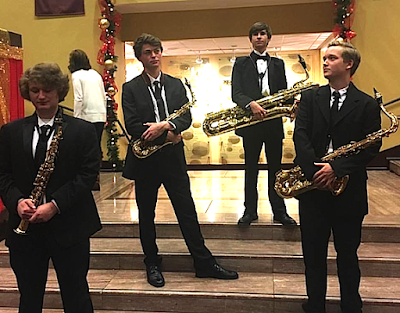 The Bright Boys actively play in the community and were most recently invited to play at the Tennessee Music Education Association All-State Convention in Nashville this April. 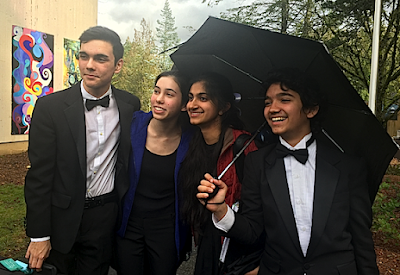 Three out of four group members attend the same school, and were brought together by multiple honor band events. The American Prize is honored to announce the winners and runners-up of The American Prize in Instrumental Performance, 2017-18, in professional, college/university and high school divisions. Congratulations! Complete listings of finalists and semi-finalists in The American Prize competitions may be found elsewhere on this blog. Please use the chronological tool in the right hand column to find specific results. 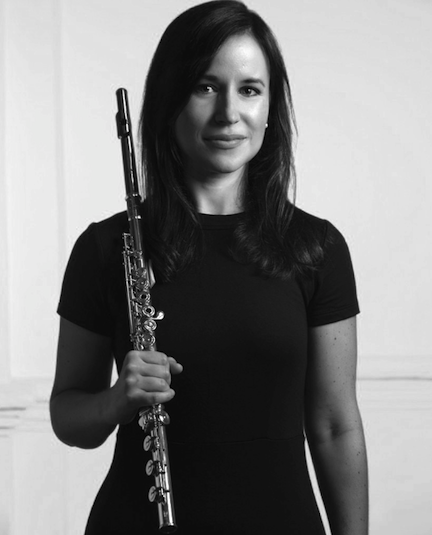 Dr. Alina Windell is on the faculty of Auburn University and Southern Union State Community College, and a member of the LaGrange Symphony Orchestra. She regularly plays with the Columbus Symphony Orchestra, and has also appeared with the Springer Opera House Orchestra, the Albany Symphony, the South Florida Symphony, the Bloomington Camerata Orchestra, the National Orchestral Institute Festival Orchestra, and the Opera Theatre and Music Festival Orchestra of Lucca in Italy. In the summer of 2016 and 2017, Dr. Windell was an Artist in Residence and Faculty member of the Orfeo Music Festival in Vipiteno, Italy; and has performed at the National Flute Association Convention in San Diego, CA and the International Double Reed Society Conference in Columbus, GA. 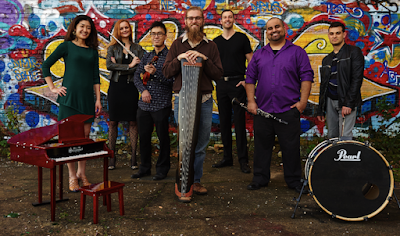 Recent masterclass and performance engagements include The University of Nebraska in Omaha, Columbus State University in Georgia, and Sunway University in Kuala Lumpur, Malaysia. Pianist and violinist Gabrielle Chou has played on both instruments with numerous orchestras, including the Ars Flores Symphony Orchestra, Mihail Jora Philharmonic Orchestra of Bacau, and National Taiwan Symphony Orchestra. She is currently in her first year of undergraduate studies at the Juilliard School, where she studies piano with Jerome Lowenthal and violin with Lewis Kaplan. Her past studies include the Colburn Young Artists Academy in Los Angeles. Gabrielle was the silver medal winner at the 6th Yamaha USASU International Senior Piano Competition, whose jury included legendary pianist Martha Argerich. She also received top prizes at the Young Composers’ Challenge, 10th Ettlingen International Competition for Young Pianists, NFMC National Composition Competition, 2nd Manchester International Piano Concerto Competition, and 21st Concorso Internazionale per Pianoforte e Orchestra Citta Di Cantu. 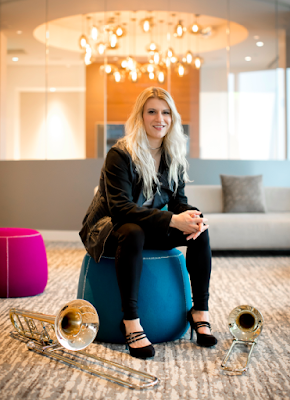 Past festivals include the Aspen Music Festival and School, where she was a piano student and later two-year violin fellow. Nashville native Christopher Lowry is emerging as one of the leading violists and most performed composers of his generation. A two-time winner of the Lionel Tertis International Viola Competition (winning Yuri Bashmet’s “President of the Jury Prize” in 2013 and “The Jury Panel Prize” in 2016), Lowry won grand prize in the Lewisville Lake Symphony International String Competition (2015) and has been a prizewinner in various national and international concerto and composition competitions. He has appeared as a soloist with the Lewisville Lake Symphony, Nashville Philharmonic, Acadiana Symphony, Louisiana Sinfonietta, Nashville Sinfonietta, LSU Symphony, LSU Philharmonia, Vanderbilt University Orchestra, and Eastern Music Festival Orchestra, among others. Lowry is currently the principal violist of the Baton Rouge Symphony Orchestra, Louisiana Sinfonietta, and Acadiana Symphony. Currently a Doctoral Candidate at LSU, he received his Master’s Degree from LSU and his Bachelor’s Degree from Vanderbilt University’s Blair School of Music. 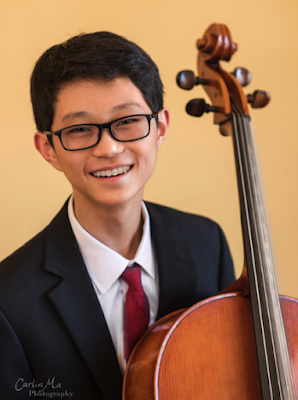 Ryan Har, 15, is a scholarship student at the San Francisco Conservatory of Music’s Pre-College Division and is studying cello under Eric Sung and chamber music with Professor Timothy Bach. In addition, Ryan has taken masterclasses from cellist Ben Hong at the United States International Music Competition Festival. Ryan received 1st prize in the American Protegé Concerto Competition, 2nd prize in the Enkor International Music Competition, and an honorable mention in the Palo Alto Philharmonic Concerto Movement Competition in 2017. He had a solo performance at the SFCM Classical Kick-Off Weekend in 2016 and won first prize in his division at the Korean Times Youth Music Competition in 2011. He and his trio placed second in the Enkor International Music Competition in 2017, and they performed in the Concerts at the Presidio series. His trio was awarded first place at the DVC/HNU Young Artists String Competition in 2016. 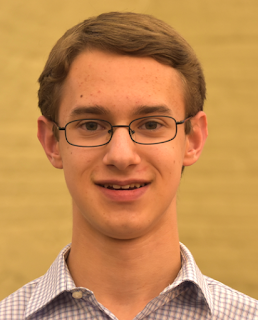 Samuel Perlman is a clarinetist, pianist, and saxophonist at Highland Park High School in Highland Park, IL. In addition to performing as a soloist, Samuel is a member of the Highland Park Wind Symphony and Jazz Ensemble and the Midwest Young Artists Conservatory Symphony Orchestra. 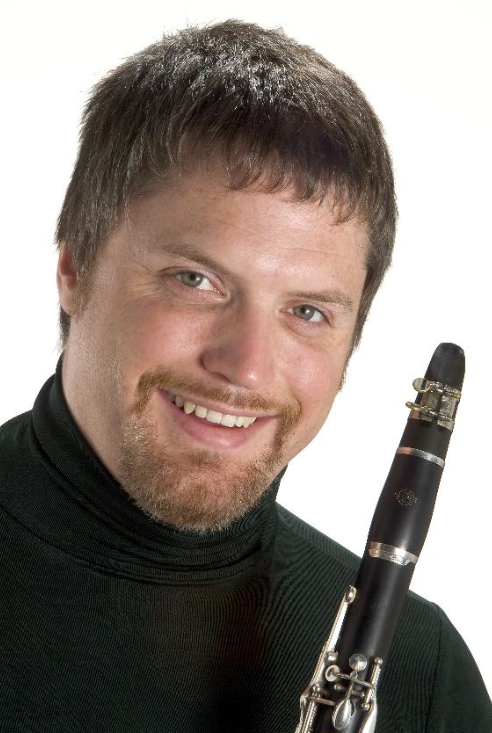 He has studied clarinet with Walter Grabner and Barbara Drapcho. The American Prize is pleased to announce FINALIST women in opera and operetta for 2017-18 in all divisions, The FRIEDRICH and VIRGINIA SCHORR MEMORIAL AWARD in VOICE. Congratulations! To know the exact date when winners and runners-up will be announced, please "like" our Facebook page or follow us on Twitter #AmericanPrize, where that information will be published first. 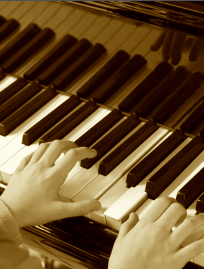 The American Prize is pleased to announce FINALIST pianists for 2017-18 in the SOLO division. Congratulations! As the contests unfold, runners-up and winners will be selected from this list. To know the exact date when winners will be announced, please like our Facebook page or follow us on Twitter #AmericanPrize, where that information will be published first. It is a particularly exciting competition this year: very strong performances of some standard (and not so standard) repertoire. Bravi, tutti. All semi-finalists in the high school division were advanced. The level of artistry was high and The American Prize feels that each contestant listed below is worthy of the encouragement (and evaluation) finalist selection provides. Congratulations! 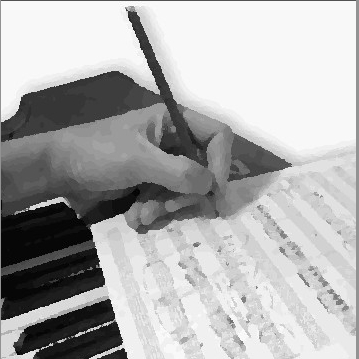 The American Prize is pleased to announce a grand list of 2017-18 SEMI-FINALIST composers of instrumental chamber music, in both professional and student divisions. Congratulations! Whisper of the Meaning","A Complete Life in Our Hands"